The cloak of protection of the Archangel Michael is a prayer that, like that of the“parking Angel”, helps in daily life. Everyday puts a strain on her every day with moments of tension, fears, embarrassing situations and dangers. Those who have experimented with conviction the invocation of the parking Angel, has certainly noted that the Angels never abandon people. 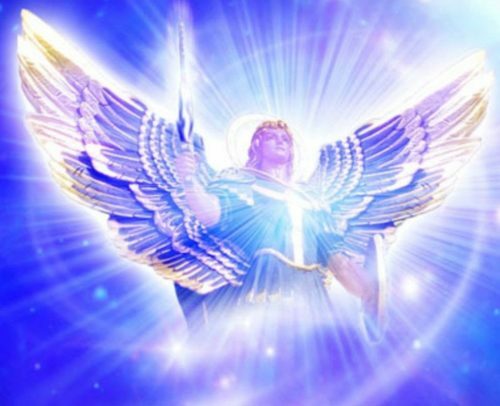 The Archangel Michael is in defense of the human being, so we must invoke him every morning, asking for protection and invisibility with conviction and devotion. This invocation is for us, for our loved ones, our home, our car and also for our animals. for protection against all and all ills. at all times, in all levels and in all dimensions. as we manifest God on Earth. Terrorism. War. Earth changes. Violent crime. The threats to our families, nations and environment are enormous. Now more than ever, we need Archangel Michael. This breakthrough book introduces you to Archangel Michael and how you can call for his protection. Revered in Jewish, Christian and Islamic traditions, Archangel Michael can protect you and your loved ones in times of trouble. All you need to do is ask for his help. This book shows you how. Includes true stories of Archangel Michael’s miraculous intercession.